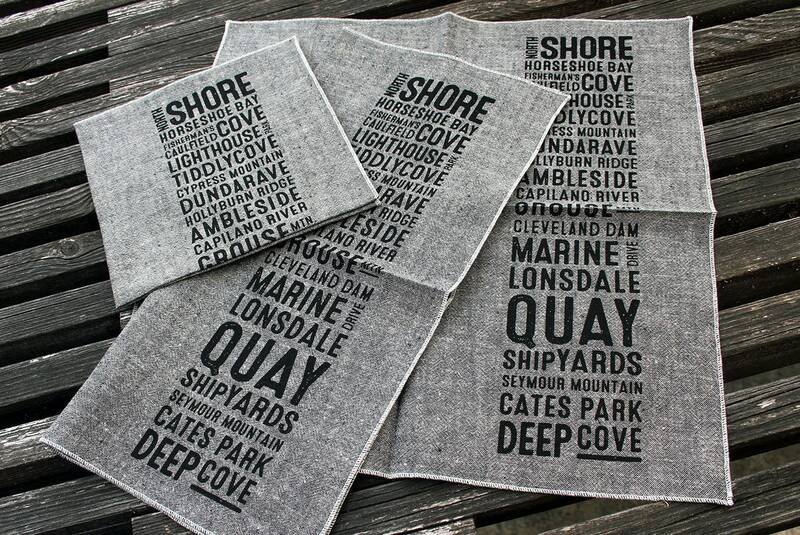 Set of four napkins featuring North Shore Vancouver neighbourhoods. These will be the talk of your party! Hand screened original design. Printed in durable black ink on 100% organic hemp. Hand crafted in Canada. 12x12".